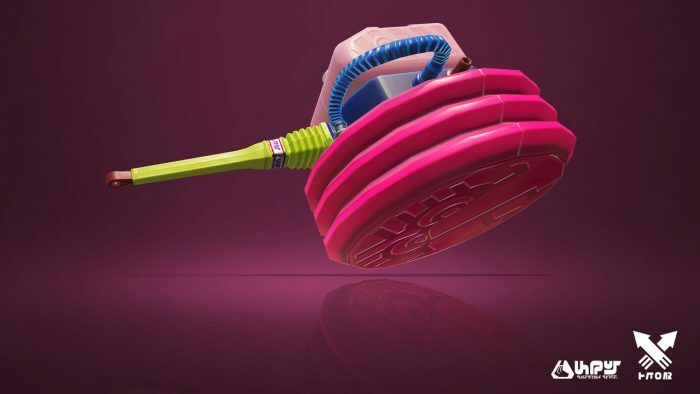 We just uncovered more details about an upcoming new special weapon! 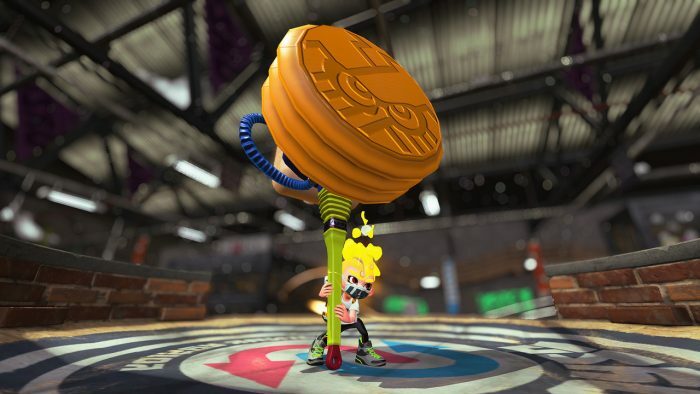 The Ultra Stamp lets players attack with an enormous hammer. 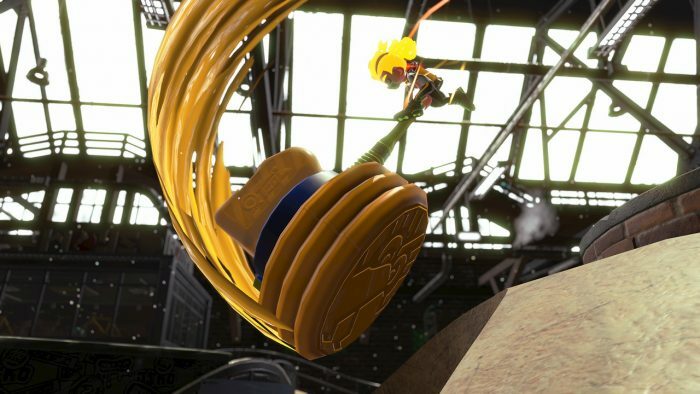 Pressing and holding the ZR Button allows you to advance while striking with the hammer! 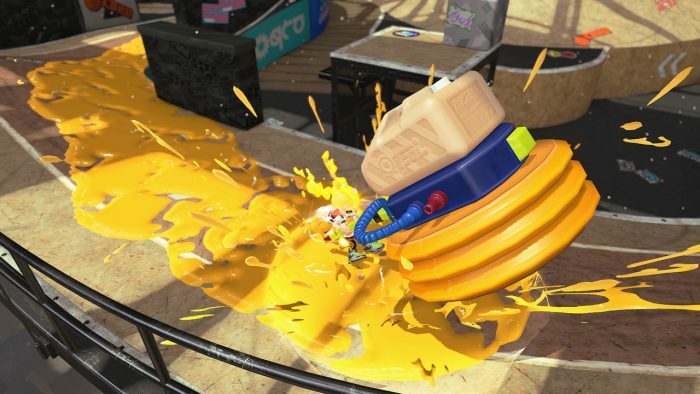 It looks like you can guard ink attacks coming from the front, but your back is exposed. 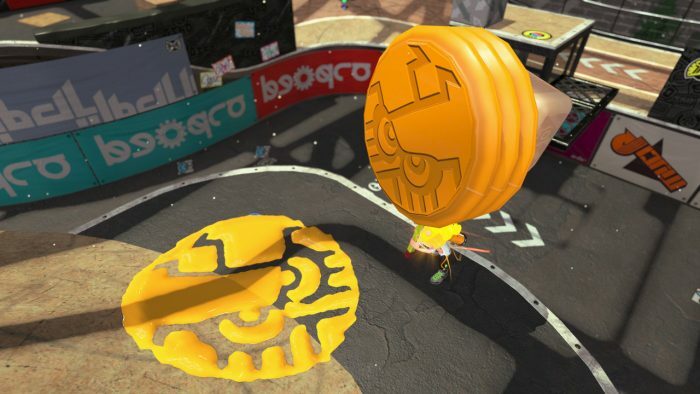 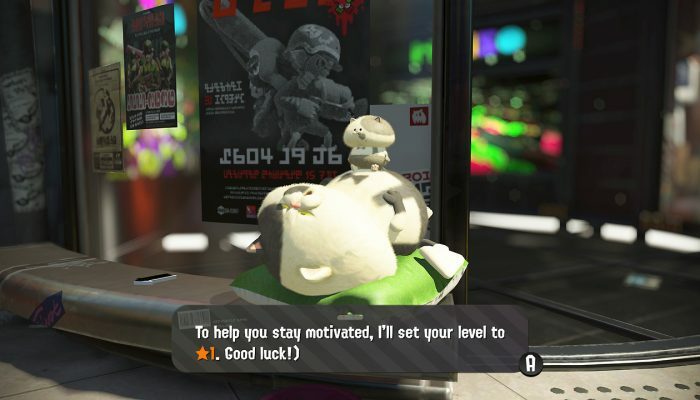 If you press the ZR button while you’re in the air, the Ultra Stamp will flip vertically so you can attack opponents mid-air. 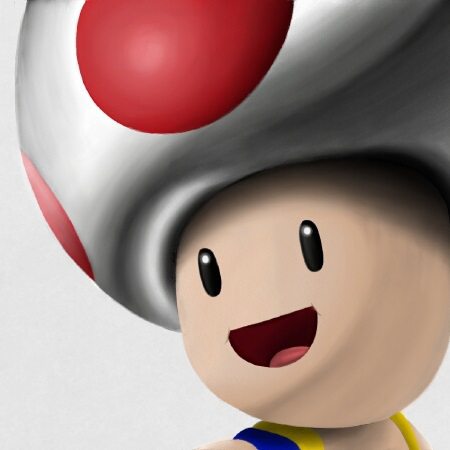 You can also throw the stamp with the R button to attack a distant opponent! 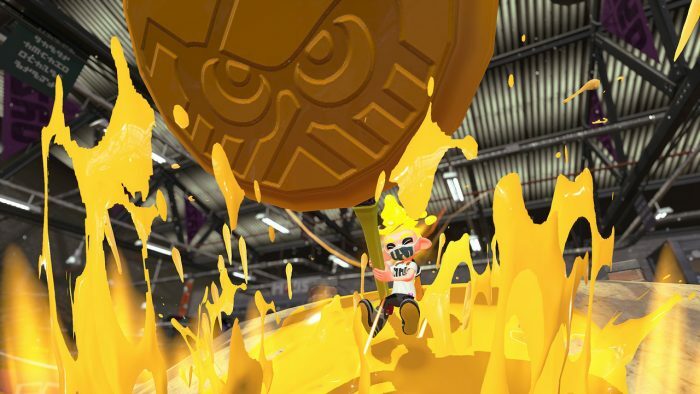 Of course, throwing away your special weapon will end your attack. 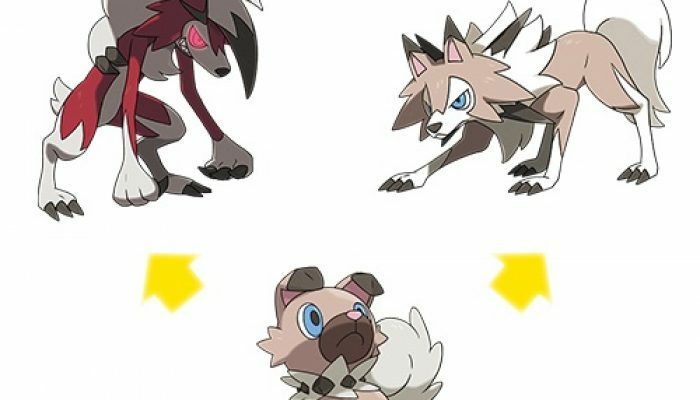 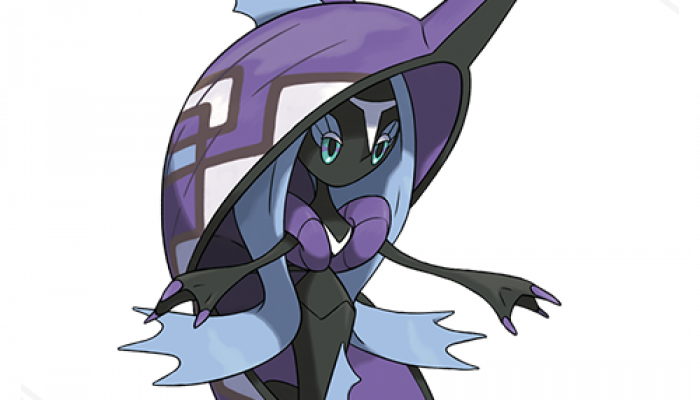 Pokémon Sun & Moon – What’s Up with Rockruff?